Attached bowl - 3" tall x 4 1/2" wide. 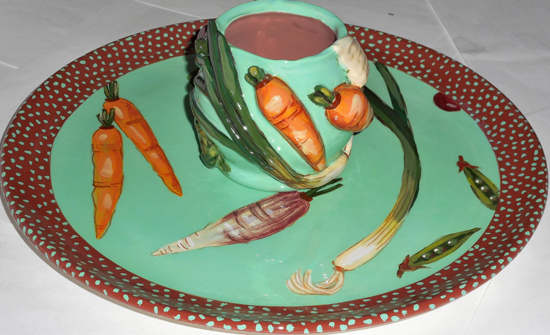 The bowl has hand sculpted vegetables dancing around it and is attached to a 13" platter. This a one piece unit. Click on photo to enlarge for details. Serve with style and fun!